On the Sept. episode of QB Power Hour, the fantastic Ron Baker came on as a guest speaker to enlighten us with his vision for the Firm of the Future. He literally wrote the book on it … check out the video here. 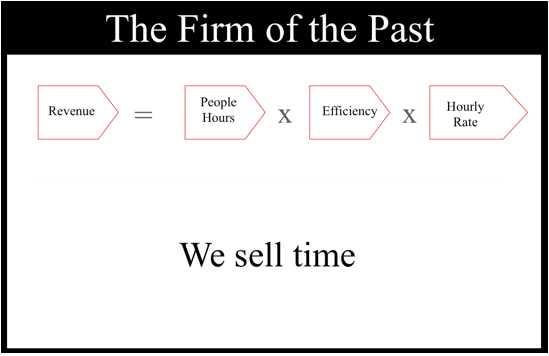 The idea is to take the “Firm of the Past” from the concept of selling time (Billable Hours X Billable Rate X Efficiency = Revenue). Growth without profit is perilous: Ron nailed it with the example of the successful restaurant that went out of business by opening its second location. The focus should be increasing profits, rather than just growing the top line for the sake of growth. Non-Rival assets have more leverage than rival assets: “Rival” means that only one person can use it at the time, so the typical example of this type of asset would be a computer. 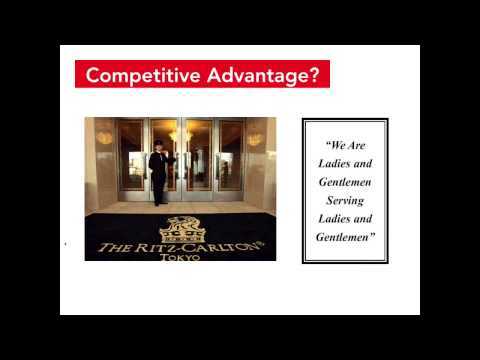 Ron talks about Intellectual capital as the most valuable asset the firm possesses, as it can be taught and “duplicated,” therefore making it not rival. Effectiveness creates a competitive advantage, while efficiency is a table stake. Therefore, being 100% efficient does not necessarily mean you are being effective. Ron is referring to the flawed assertion that having a knowledge worker bill out 100% of their hourly labor is being effective, because there is a ceiling/limit of what the potential revenue that person can generate. Effectiveness is measured by the ability to provide VALUE to the customer without regard to billable hours. Value Pricing is superior to hourly billing for capturing value: Ron’s example of the newborn baby is great: nobody cares about the labor pains (or how many hours/contractions it took); people just want to know about the baby. By focusing on maximizing the Customer Value, we create a better customer experience, and ultimately, more profit, without the pains of measuring timesheets, billable hours and the very flawed concept of efficiency. 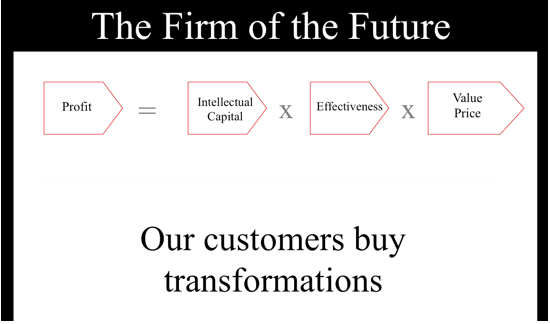 And, finally, evolving into the Firm of the Future that focuses on Transformations (Intellectual Capital X Effectiveness X Value = Profit). If you like Ron Baker, you are going to love his podcast: The Soul of Enterprise. Here is a link for the first episode in 2014, which starts with this very concept of destroying the timesheet and Value Pricing.